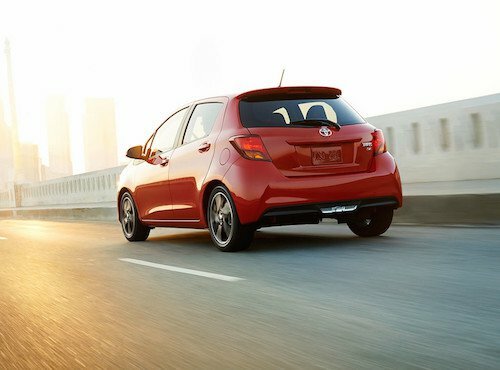 If it is time for a more economical ride, we invite you to visit our dealership and see the Toyota Yaris near Laconia, New Hampshire. The Yaris is modestly priced and delivers a remarkable savings at the pump. This efficient economy car is available as a 3-Door L, 3-Door LE, 5-Door L, 5-Door LE, or 5-Door SE model as well as the new Yaris iA model. We have a selection of new Toyota Yaris cars available now and frequently have pre-owned models in stock. See our full new and used inventory online and compare vehicle details, MSRP, color options and trim levels. We offer several auto financing options and can explain the benefits of buying or leasing or arrange affordable used car financing. Our Toyota finance team will also help you take advantage of current dealer special offers or factory incentives so you will be sure to save you the most money and reduce monthly car payments. So if saving more money sounds good to you, come test drive a Toyota Yaris near Laconia, NH.